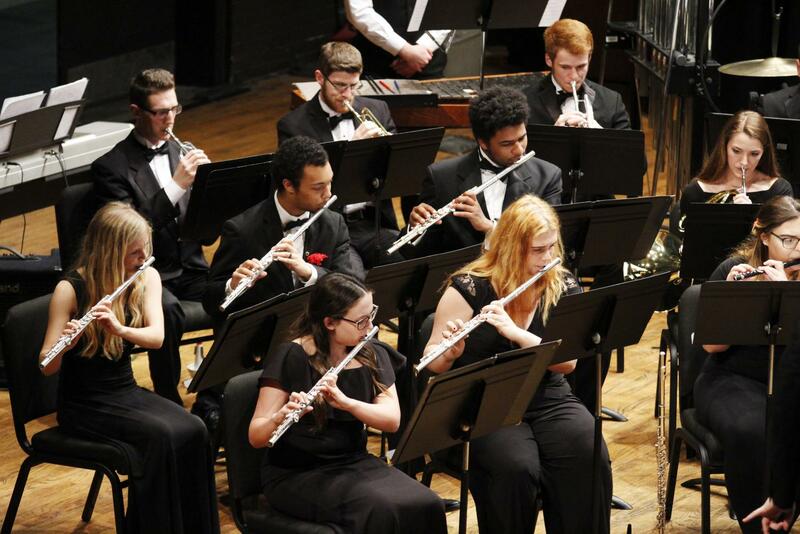 Students can express themselves musically through a number of organizations such as the university Wind Symphony. Singing, marching, rehearsing, playing, performing. The music department offers several organizations that utilize these words in their musical endeavors. Ensembles are one such option that allow students to perform pieces together in a variety of genres. Kaylin Guillory, a senior music major, is currently involved in the Women’s Chorale. She explained that the chorale requires singers to have determination in their practice. The music department allows non-music majors some opportunities to express their talents. Bailey Melancon, a sophomore education major, is a member of the university’s Concert Choir and was a member of the Women’s Chorale for the past two semesters. She shared how performing in an ensemble brings several people together to accomplish one task. With a plethora of music genres, the challenge to perform a piece well can hang over some performers. Melancon stated a challenge she faced this semester. The many music organizations on campus have not only unified musicians, but have also crafted lifelong memories. Sara Cage, a senior music major, shared her experience from her first performance at the university. One student in particular is currently active in four different music organizations. A member of the university Wind Symphony, the Jazz Ensemble and the “Spirit of the Southland” Marching Band, Benjamin Reaux, a senior music major, also serves as Phi Mu Alpha Sinfonia’s fraternity education officer. He shared how the fraternity has impacted him. “Phi Mu Alpha Sinfonia has given me a devotion to my craft and the power to affect the lives of others through music,” said Reaux. Reaux said that Phi Mu Alpha Sinfonia’s “56th National Convention” allowed him to connect with fraternity members across the nation. He also shared his musical talent at the convention. 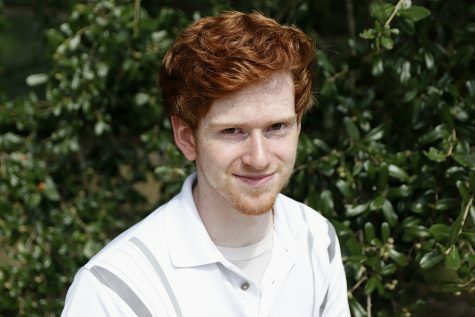 “I auditioned for and was selected to perform in the national fraternity’s premiere jazz ensemble, the 1898 Jazz Orchestra with the famous jazz trombonist, Andy Martin,” said Reaux. Whether it’s Greek life, chorales or ensembles, music unifies. Guillory explained that the chorale is a “transcendental” experience.